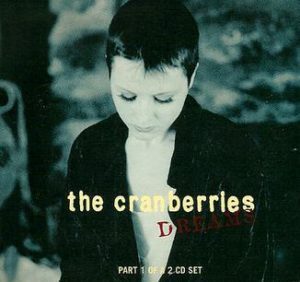 A few days before Dolores O’Riordan passed away in London, I stood in my kitchen in Minneapolis and insisted—for no particular reason, other than that it’s a great song—that The Cranberries’ hit “Dreams” was the greatest tune of the 90s. The 90s were the era of my adolescence. On “Dreams,” O’Riordan’s voice soars and trembles in the alto she used on any number of singles that still embody what we mean by the phrase alternative rock: “Zombie,” “Linger,” “I Can’t Be With You,” and “Ode to My Family.” Her harmonies are perfect. When you declare the greatness of pop songs, the stakes are fantastically low—that’s why it’s fun to declare these things at all, defending a territory you just invented—but Giuliana asked me if I would put the song on anyway, just to see. It played in the living room while we stood in our kitchen. I just don’t know a catchier and more tender tune. When I heard a few days later that O’Riordan had died, I felt crushed and shocked. I had the firm realization that “Dreams” is a song that, to this day, thrills me in the same way it did the first time I heard it, though I don’t recall the exact circumstances of first listening to it. The feeling I get listening to “Dreams” is the same as the one I experience when I hear a new song and wonder who the performer is. I’ve never tired of it. Though it has a melancholy edge, it’s simply not a weary song. I could listen to “Dreams” on repeat forever. 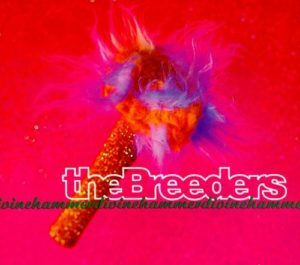 The same thrill persists in the case of another stalwart of 90s alternative rock: “Divine Hammer” by The Breeders. It’s important that you know I mean the album cut of “Divine Hammer,” not the radio mix. Please listen to the album version when you check my facts. Like “Dreams,” “Divine Hammer” combines propulsive rhythm and a hazy melancholy that feels overcome in the moment of its expression. This is a pop formula that seems carefully contrived to maximize the sugary feeling of feeling too much. “Divine Hammer” and “Dreams” are songs I think of when I recall the moments in my adolescence when loving a song could be the most important event in my life—when it could orient my feelings for weeks at a time. My obsession with “Divine Hammer” reached its peak during my freshman or sophomore year of college. I had a work-study job in the library, and mine was the closing shift. I would walk home in the fog on spring nights wearing a thick orange hoodie that I never otherwise liked but which was ideal for the trip back to my dorm because its pockets were big enough to hold a portable CD player. Enveloped in two of the greatest mood-altering substances I know, late-night fog and wistful pop music (it would be a long time before I considered the sexual undertones of “Divine Hammer”), I grew to love that walk. I suppose music has often been abused by young people as a self-dramatizing device. By adults, too. There’s a certain self-pity in the pleasure you feel from making yourself sad with a song. But as Elizabeth Bishop wrote, “pity should begin at home”—a thought she gave to Western literature’s most famous avatar of isolation in her poem, “Robinson Crusoe.” Self-pity has a coziness and hominess. There’s something pop about that. I had a friend, Timothy, who worked at the library, too. We talked about music all the time, both the songs we loved in high school and ones we were discovering then, with the occasional aid of a snide and charming website that appealed to voracious listeners with a nerdy streak (it was the early days of Pitchfork.com). We had a common love for Radiohead’s OK Computer. So did everyone, if I remember correctly. Anyway, one thing he said about that album has never left me. He said that when the album was released in 1997, he would sometimes be out with friends and wish that he was home alone instead just so he could listen to OK Computer. I knew exactly what he meant. It reminded me of being 12 years old and listening to the radio with my brother, wishing the local radio show playing the “Hot Nine at 9” would just get to Weezer’s “Buddy Holly” already because otherwise we wouldn’t hear it at all. MH Rowe lives in Minneapolis. His fiction has appeared in Black Warrior Review and DIAGRAM, among other places, and he’s written for The Millions, The Awl, and Popular Mechanics. Find him on Twitter @mhrowe.